This Matambre Recipe is just one of many popular Uruguay foods. When I was in Uruguay I made a point of eating many different authentic foods from Uruguay. Although I liked Matambre, I especially enjoyed eating Chivitos at roadside food concession stands. On several occassions I also dined at restaurants in Uruguay that were recommended to me by local people of Uruguay. Milanesa were one of my favourite meals at dinner time. For dessert or with a cup of strong Uruguayan coffe I would enjoy one or two alfajores as a dessert or snack with coffee. Do you like Matambre? Do you have a good Uruguay Recipe to share? We are always looking for submissions from our readers. 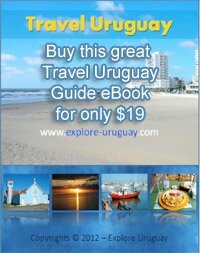 Whether you have Uruguay food Recipes to share or maybe you want to post an article or review about one of your favourite hotel in Uruguay. Or maybe you would like to tell others about a Uruguay tourist attraction, your submissions are always welcomed.